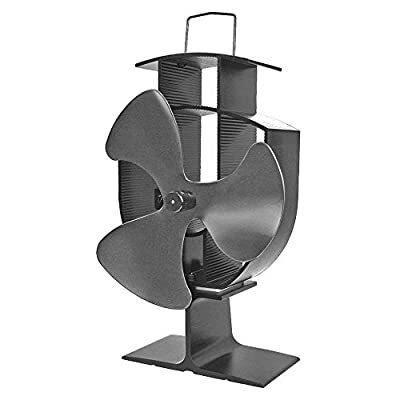 -The stove fan uses the heat of the stove to circulate the hot air around the room. This helps to improve both the efficiency of the stove and also effectively heat the room faster. 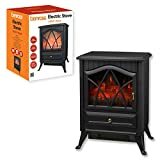 -The stove fan is evironmentally friendly as it runs on heat power alone - no electricity is needed! -Extremely quiet operation, compact size, no installation required,easy to use. -Made from heavy duty black steel with carry handle for easy portability. 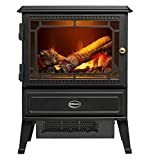 1.It's highly recommended that you use a suitable high temperature thermometer to test the temperature of you stove.Temperature above 350°C can cause damage to the product. 2.The stove fan will get extremely hot during operation. Do not touch any part of the fan while it is operating. 3.A stove glove should be used when repositioning the fan with the carry handle. 4.Please make sure that the fan has completely cooled down before being placed on an unprotected surface. 5.Children must be supervised when the stove fan is operating. 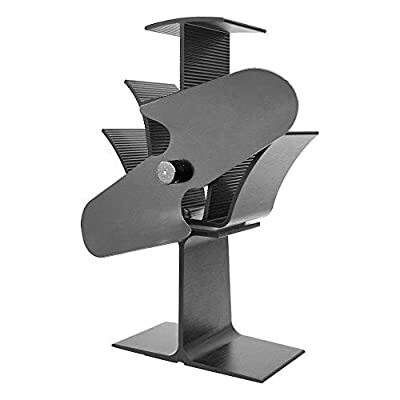 The stove fan uses the heat of the stove to circulate the hot air around the room. This helps to improve both the efficiency of the stove and also effectively heat the room faster. 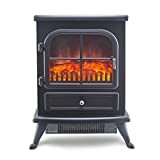 The stove fan is evironmentally friendly as it runs on heat power alone - no electricity is needed! Made from heavy duty black steel with carry handle for easy portability. Children must be supervised when the stove fan is operating. 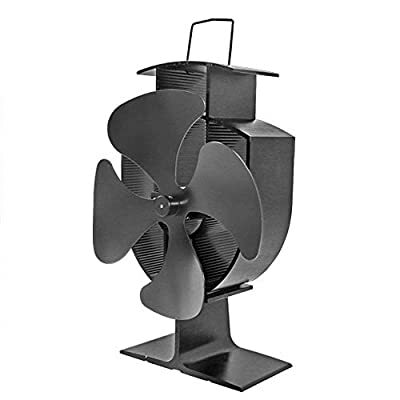 There are two choices for you : 2 blade or 3 blade stove fan.